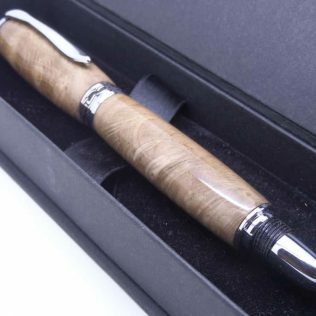 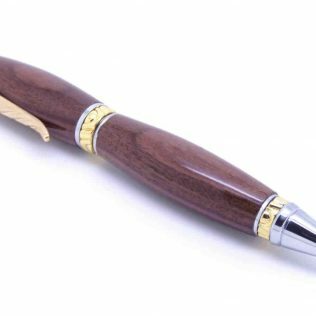 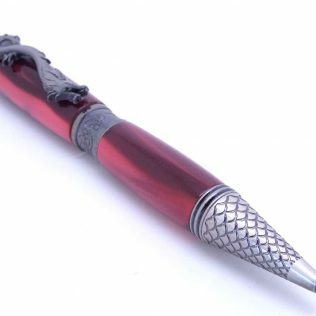 Please have a look at the elegance and quality of our exotic wooden pens lovingly made to order. 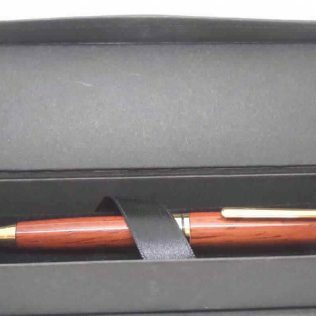 I hope you agree we pride ourselves on the quality of these items. 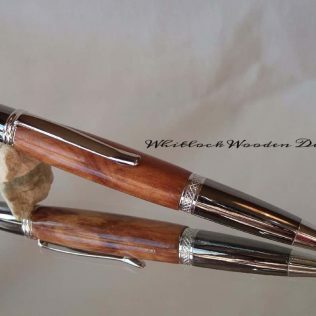 Talented Artisans able to match wood grains and pen components to make hand turned product that will last a lifetime. 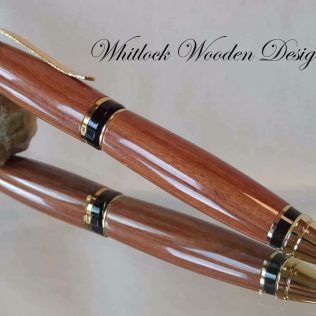 Writing tools normally made over 2 days the amount of time and effort well worth the cost of the item. 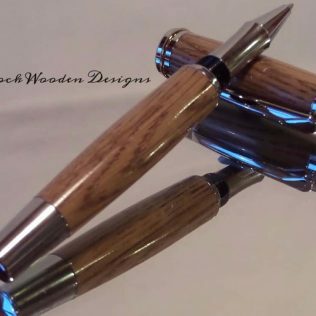 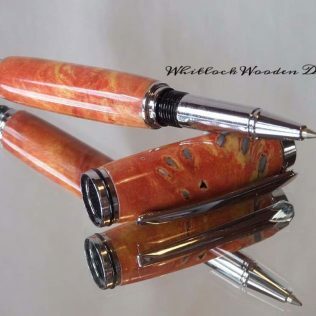 Wood ink pens with a two-piece posted design either fountain or rollerball. 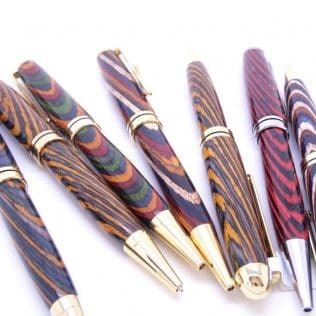 Wood pens in a large range of ballpoint designs, either twist or retractable. 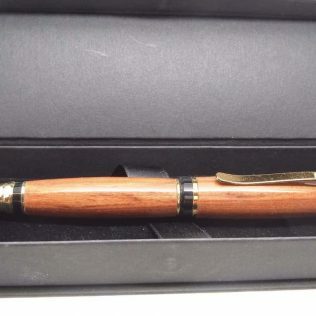 These pens have both a two piece barrel or a single pen barrel. 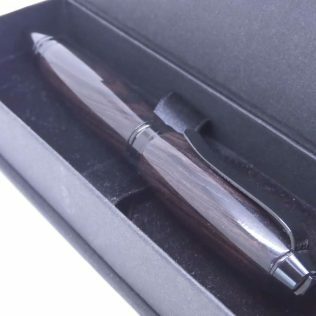 A slim wooden pen to a big pen for men we have them all covered. 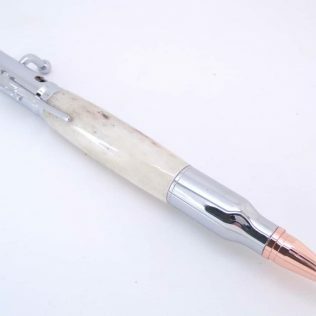 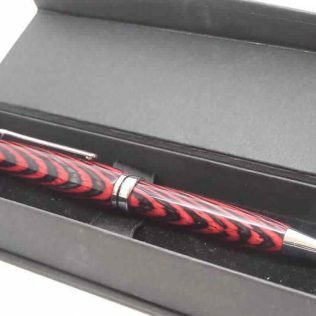 The handmade pens which we have for sale can either come in ink pens or ballpoint pens. 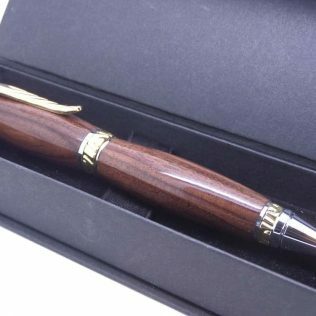 These can be hand crafted from different exotic and temperate woods and come in all different styles of woods and wood grains. 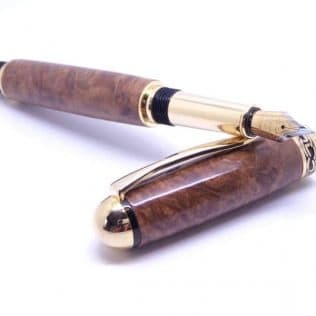 The grain of the wood makes each pen unique and no two pens will ever be processed alike. 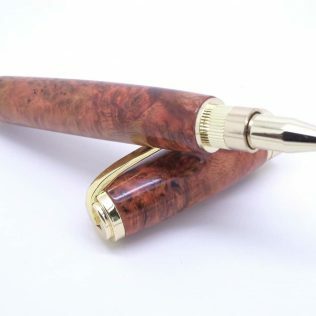 For the best pens, we like to use figured or burl wood. 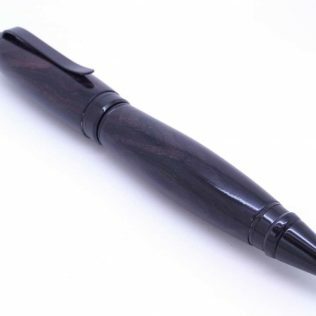 We use standard pen refills in all of our wooden ballpoint pens, either the cross type or Parker black ink refills. 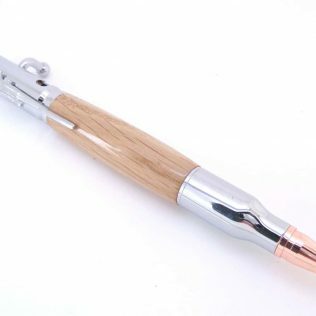 Replacement refills available in high street shops or the local supermarket. 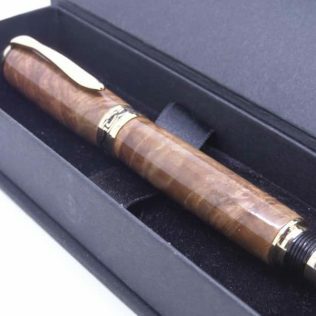 With the wood pens being individually handcrafted, this makes them a unique gift to give to all of your friends and family. 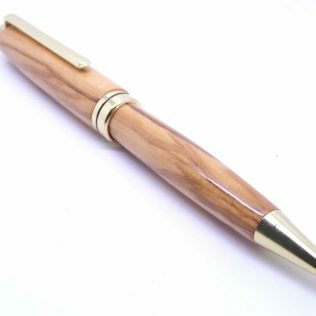 Everyone at some time would benefit from one of my hand made wooden pens. 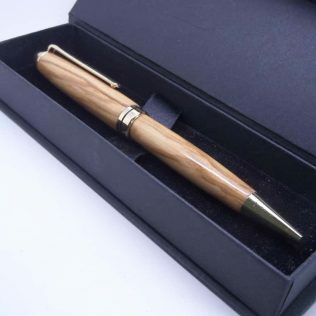 A gift on Fathers Day, Mothers Day, Graduation all would value these items and we would like to think that they would because a stylish item which they can use on a daily basis unique to their own or your own specifications. 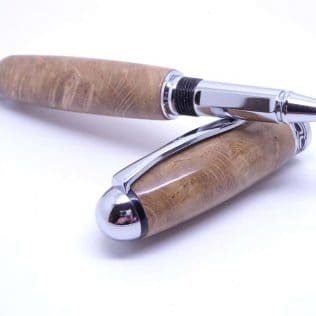 If you try one of our pens, we believe you will love the quality and textures and uniqueness of our hand made wooden ink pens and ballpoint pens and we hope you would tell your friends of the friendly service you receive and the loving care taken into making wooden pens. 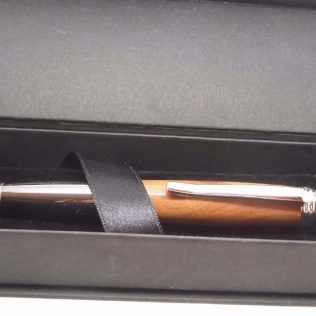 All of our writing implements come in a black presentation box. 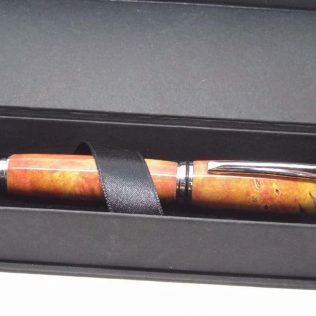 The more expensive writing implements or sets have upgraded presentation case. 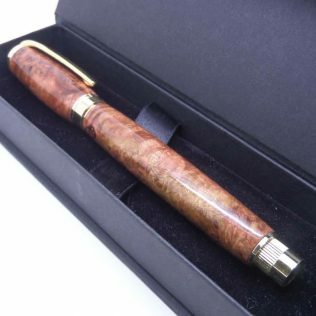 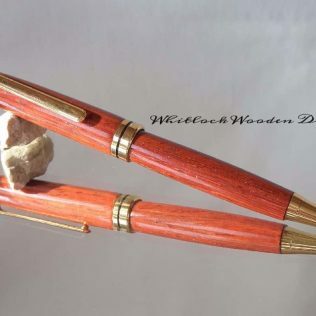 View basket “Amboyna Burl Rollerball Pen” has been added to your basket.